If you cut corners, you'll want to listen closely to these exciting stories about diligence. That's a fancy word for "stick-to-it-iveness." So tune in, roll up your sleeves and let's get to work! Contains three previously aired episodes: "Two Sides to Every Story," "A License to Drive," and "It Happened at Four Corners." Sometimes it seems like you're the only one who is trying to do the right thing, but you're not alone! 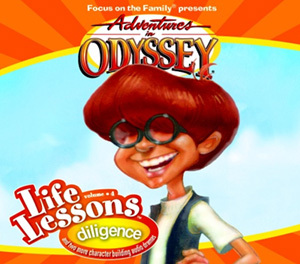 The kids from Odyssey have learned many lessons about standing up for what they believe. 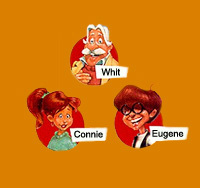 Learn along with Connie, Whit, and the rest of the gang how to not cave in to peer pressure. Contains three previously aired episodes that have been digitally re-mastered: "With a Little Help from My Friends," "Blind Justice," and "The Last Great Adventure of Summer."